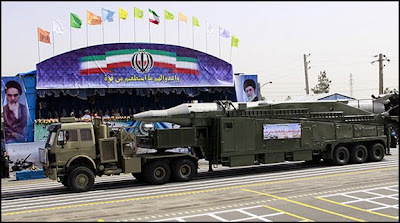 There is a mistaken impression in the West that Iran perceives itself the focus of an international demand to relinquish the majority of its low-enriched uranium, in order to prevent its imminent manufacturing of a nuclear weapon. For their part, the Iranian perspective is completely different. Contrary to Western perceptions, the current deal put forward by the E3+3/P5+1 is not the initial proposal for refueling the Tehran Research Reactor (TRR). That initial proposal was publicly put forward last September in New York by President Ahmadinejad, where he offered to purchase medium enriched uranium from existing nuclear fuel suppliers (including the United States). Subsequently, at the Geneva 2 talks, the West and Russia provided a counter-proposal that Iran ship 1200 kilograms of its LEU to Russia by January 15, to be converted to medium-enriched uranium, whereupon France would fashion the product into fuel rods for shipment back to Iran. This complicated arrangement was explored "in principle" in Geneva and later worked on still further in subsequent talks held in Vienna. At the conclusion of those talks, a target date for a decision by all powers present was put forward by ElBaradei for the following Friday. 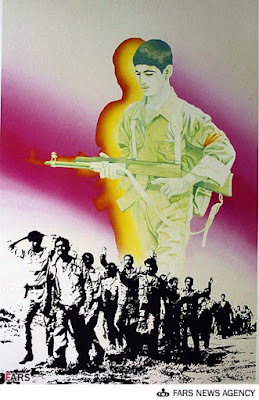 However, the Iranians understood this date as a time frame, and surely anything but a demand. Throughout all of this, it's important to realize that Iran is not looking at this process in terms of diplomatic demand. Rather, it views this as an ongoing negotiation process being managed by the IAEA. This nuclear proposal has since been formally introduced to Iran's decision makers. Predictably, there are quite a few who find the offer highly dubious. For starters, there is a very poor track record for both France and Russia, in regards to these two countries living up to their word in previous nuclear agreements with Iran. Thirty years ago Iran put up more than $1 billion dollars to help build a French nuclear reactor in return for access to that reactor's fuel. To date, the French have never delivered any amount of fuel- not one iota. Likewise, roughly fifteen years ago Iran signed a contract with a Russian firm to complete the Bushehr nuclear facility. What's transpired since then is an endless stream of broken promises, missed schedules and arbitrary work stoppages. To this day, Bushehr remains less than fully operational. These are the two partners Iran is expected to do business with in this proposed nuclear deal. In addition to this, there are legitimate concerns that while Iran's LEU stock is away, in further nuclear negotiations down the road, the West may try to leverage its returned fuel by imposing additional conditions for its release. 1) Iran offers to purchase the nuclear fuel required for TRR from an existing supplier. 2) Iran offers to further enrich its own LEU stock into fuel stock inside Iran for TRR, under the strict technical supervision of the IAEA (a benefit stipulated under the terms of the NPT), possibly in partnership with another country. 3) Iran may be offering to accept the current deal offered by the West with some modifications, such as transferring its LEU stock in installments. Also, Iran may yet accept the current deal as it now stands. It's interesting to note that at this point in time, certain Western officials and media outlets are depicting this ongoing negotiation process in a dire and negative light; while in stark contrast, President Ahmadinejad publicly praises the effort. Right now, the ball seems somewhere near mid-court. One thing appears likely: it will not be the Iranians that decide to break off negotiations, if that's how this ultimately plays out. One item of significance which seems absent from Iran's internal public debate is any talk of rejecting further negotiation based on the recent Jundallah terrorist attack in southeastern Iran. Iran maintains substantiated claims of Western support for Jundallah (see here and here), yet the Iranians haven't so much as missed a beat in their continued engagement with the nuclear negotiation process. Just imagine for a second if the United States, France or the United Kingdom had suffered a terrorist attack with any sort of linkage back to the Islamic Republic of Iran; how that would have affected the nuclear talks! 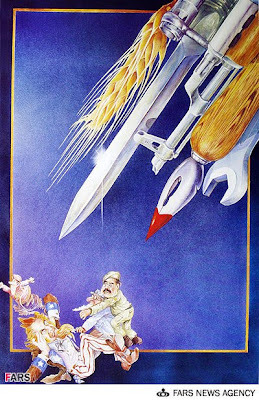 Nor did the Iranians wilt under the West's bombastic assertions over its disclosure of the Qom pilot enrichment facility. No, the West is being shown that it faces a cool yet reserved negotiator. It's not in the West's interest to attempt negotiations in bad faith or to critically overestimate the amount of leverage it has over Iran. For Iran may not need this deal as much as the West thinks it does, while Iran retains the option of the status quo. Western diplomats in Vienna are reporting that Tehran has refused to sign off on the nuclear deal that was worked out two weeks ago in Vienna between Iran’s representative and the major powers. The agreement would have transferred most of Iranian stockpile of low enriched uranium (LEU) to Russia and France for further enrichment required for a Tehran research reactor. Tehran is instead proposing to enrich the material domestically under IAEA supervision. Former U.S. Ambassador to the UN John Bolton has stated today that diplomacy with Iran has failed and other options should be looked at, namely a pre-emptive Israeli strike. Alaeddin Borujerdi, chairman of the national security and foreign policy committee of Iranian Majlis, told reporters today in Tehran that Iran will not hand over its low-grade enriched uranium to Russia in one batch as proposed. "We provide part of 3.5 percent enriched uranium to the party in the deal and once we receive the 20 percent, we give another batch of 3.5 percent," Borujerdi said, referring to Iran’s stockpile of 3.5% LEU to be shipped abroad for reprocessing to 20% grade required for a Tehran research reactor. "In other words not all the fuel will be handed over in one batch." [ILNA, 27 October]. The IAEA-drafted deal calls for Tehran to hand over 1,200 kilos of its LEU. Iran reported inventory of LEU is estimated at 1,500 kilos. Brig. Gen Seyyed Massoud Jazayeri, deputy chief of staff of Iran’s armed forces, said today in Tehran that US, Britain, Saudi Arabia and Pakistan were involved in last week’s bombing in the border region of Pishin in Iranian Baluchistan. "The recent terrorist activities in Sistan-Baluchestan were conducted with the help of the Americans, the British, an Arab country and one of our eastern neighbors. We are well aware of such matters and necessary counter-measures will definitely be taken in response to such acts," Gen. Jazayeri said [IRNA, 25 October]. "Terrorist activities particularly in borderline regions, threats and psychological warfare, soft war and even certain military measures in border regions are attempts at replacing unity with discord in our country," Jazayeri continued. The militant Iranian Sunni group Jundallah has claimed responsibility for the bombing. IAEA inspectors are scheduled to arrive in Tehran later tonight. 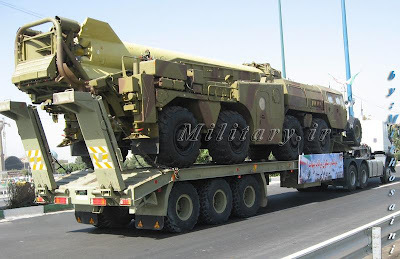 They will inspect a newly disclosed nuclear facility near the city of Qom. The three-day visit comes after Iran said Friday that it needs more time to decide whether to sign onto a deal with the major powers to sent most of its stockpile of low-grade enriched uranium to Russia and France. Iran informed IAEA Director General Mohamed ElBaradei that it is "considering the proposal in depth and in a favorable light, but it needs until the middle of next week to provide a response," according to an IAEA statement published yesterday. The revelation of the construction of Qum facility surprised the international community. Tehran was under UN sanctions to stop its uranium enrichment activities in Natanz. Now the Qum facility was being set up to expand the enrichment activities. “It is important for us to send out inspectors to do comprehensive verification ... to assure ourselves that it [Qum facility] is fit for peaceful purposes,” ElBaradei said [CNN, 24 October]. An official in Iran's Sistan-Baluchistan province has identified the suicide bomber in Sunday’s attack in the Baluchi town of Sarbaz as a 22-year old Iranian citizen named Abdulwahed Mohammadizadeh. 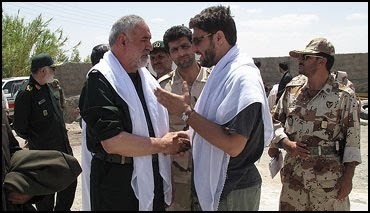 Jalal Sayah, Baluchistan’s deputy governor for security, has told IRNA, the official Iranian news agency, that Mohammadizadeh travelled to Pakistan four months ago to receive his training at a Riggi (Jundallah) camp before returning to Iran to blow himself up, killing 41 people, including a senior IRGC commander, and injuring more than 50 others. 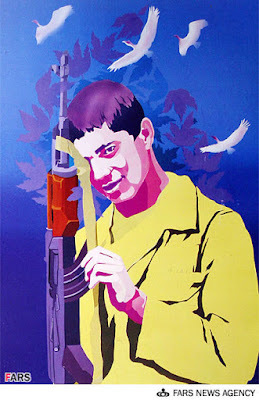 Mohammadizadeh was born in 1987 in Baluchistan. According to government records, he had been arrested in 2001 and 2002, on charges of fraud and assault, and had spent time in prison. Russia's Foreign Minister Sergey Lavrov said today in Moscow that Russia expects Iran to "confirm” its acceptance of the nuclear deal reached earlier this week in Vienna. “Russia expects Iran [and the other countries involved] to confirm their acceptance of the project," Lavrov said (AP, 23 October). The agreement calls for shipping most of Iran's uranium to Russia and France for enrichment to a level that renders it useful as fuel for Tehran’s research nuclear reactor. The agreement, when implemented, would prevent Iran to use its stockpile of enriched uranium to build a nuclear weapon. Iran says that its nuclear program is for peaceful purposes only. UPDATE: State-run Press TV is reporting that Tehran will announce its final decision on the deal next week. 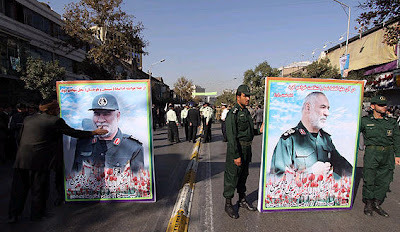 Large portraits of the late Gen. Shoushtari at his funeral in Mashhad. Note the Farsi handwriting identifying him as a Major General. He was a one-star general when he was killed. The second star is awarded posthumously. The casket containing the remains of the late Maj. Gen. Shoushtari is the first on the left. Other caskets contain the bodies of the other IRGC commanders killed in a suicide bomb attack in Baluchistan last Sunday. 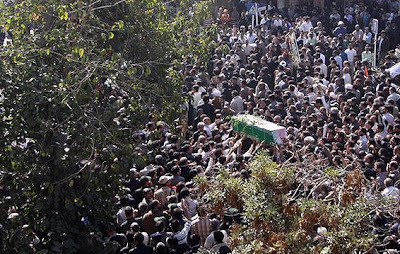 Gen. Shoushtari's coffin being carried by the public. Mashhad, Iran. 22 October 2009. Iranian representative to the talks in Vienna today signed off on a draft agreement with major powers on its nuclear program. Iran would ship most of its current stockpile of low-grade uranium to Russia and France for conversion into a higher grade product for use in its research reactor. The move strips Tehran of most of the material it would need if it was to make a nuclear weapon. US and Russia also guarantee sales of enriched uranium to Iran for its nuclear power plants. The draft agreement is to be ratified by the nations’ capital by Friday. The agreement represents a major victory for Obama administration’s Iran policy. The credible threat of crippling economic sanctions against Iran, including an embargo on the sale of gasoline to the country, combined with direct talks with the Iranian government on improving bilateral relations and the resumption of diplomatic ties, indeed pursued Tehran to sign an agreement that many would have thought impossible. The UN Security Council today unanimously condemned Sunday’s suicide attack in southeastern Iranian town of Sarbaz that killed a number of IRGC commanders, including IRGC’s Deputy Commander of Ground Forces, Brig. Gen. Nour Ali Shoushtari. 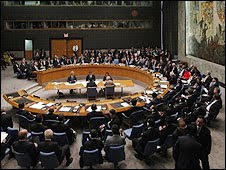 The UNSC’s resolution called the attack a terrorist act. Jundallah has taken responsibility for the attack. High-stake talks between Iran and big powers will resume on Wednesday after they seemed to be faltering today. Iran has reportedly insisted to be able to continue its uranium enrichment program, but the west wants to curb Iran’s enrichment activities. “I believe we are making progress. It is maybe slower than I expected. But we are moving forward and we are going to meet tomorrow [Wednesday] at 10 am (Vienna time),” said Mohamed ElBaradei, IAEA chief. "It's a complex process as you understand. There is the technical aspect, many technical issues that we have to analyze. There is of course a question of confidence-building guarantees [by Iran]," he said. The two sides had made a tentative agreement at their October 1 meeting in Geneva to have Iran transfer most of its stockpile of enriched uranium to Russia and France, and in return obtain higher-grade enriched uranium for use in a research reactor in Tehran. The current round of talks was to resolve all outstanding issues with regards to the country’s enrichment program. "Quite a constructive meeting,” ElBaradei described the talks. “We are off to a good start.” [Reuters, 19 October]. Representative of Iran, Russia, France and the US have begun three-day talks on a proposal for Iran to transfer most of its enriched uranium to Russia and France for further enrichment for use in a research reactor in Tehran. Ahead of the talks, Iran had signaled that it would not meet Western demands to transfer its low-enriched uranium to Russia and France. Iran's state-run Press TV said the Islamic Republic was looking to hold on to its [low-enriched] uranium and buying what it needed for the Tehran reactor abroad. Iran’s Supreme Leader Ayatollah Ali Khamenei said in Tehran today that the government will punish the terrorists behind the suicide bombing that killed six IRGS commanders, including senior general officers, and nearly 40 others in southeastern Iran on Sunday. Khamenei also said that Iran’s “enemies can’t harm the unity” among Iranians. A militant Sunni group operating in Iran-Pakistan border area of Baluchistan has taken responsibility for the attack. 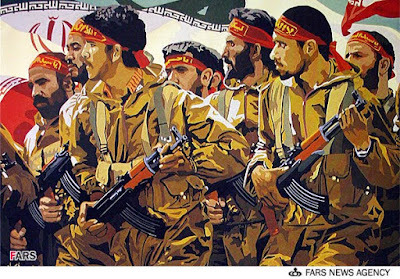 The group, Jundallah, along with another Sunni militant group operating in Kurdistan, PJAK, have waged armed campaign against the IRGC for the past three years. Sunnis are minority in Shia-run Iran, but constitute the majorities of the population in underdeveloped provinces of Sistan-Baluchistan and Kurdistan. The victims of the bombing included two employees of the state-run broadcasting service, IRIB, and number of tribal chiefs who were due to hold a meeting with the Guard commanders to promote Shia-Sunni unity. Meanwhile, IRGC Commander Maj. Gen. Ali Jafari told reporters today in Tehran that Iran would “retaliate” against the US and Britain for backing the perpetrators of the attack. Gen. Jafari said that the security officials had presented documents indicating direct ties between Jundallah and US, British and Pakistani intelligence. “Behind this scene are the American and British intelligence apparatus, and there will have to be retaliatory measures to punish them,” Jafari said [ISNA, 19 October]. “The base of the terrorists and rebels has not been in Iran. 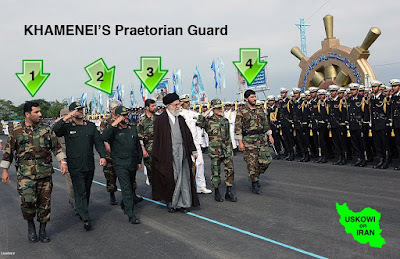 They are trained by America and Britain in some of the neighboring countries,” added IRGC Ground Forces Commander Brig. 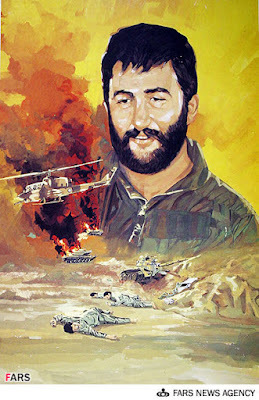 Gen. Pakpour, whose deputy, Gen. Shushtari, was killed in the attack. A suicide bomber attack killed at least 29 people Sunday, including six senior officers of the Iranian Revolutionary Guard Corps (IRGC), in southeastern Iran. 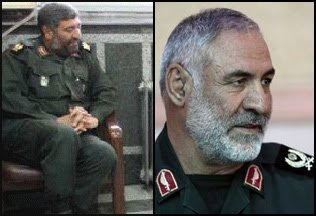 IRNA news agency reported the dead included the deputy commander of the IRGC ground force, Brigadier General Noor Ali Shushtari, as well as IRGC provincial commander for Sistan-Baluchistan and the Amir al-Momenin unit, "Under" General Rajab Ali Mohammad-Zadeh. Also killed were the IRGC commanders of Iranshahr, Sarbaz and the Pishin region. Dozens of additional casualties were also reported. The commanders were apparently inside a car on their way to a unity gathering of Shia and Sunni tribal leaders, in the Pishin region (near Iran's border with Pakistan), when an explosive laden attacker approached the convoy and blew himself up. PressTV reported there were actually two simultaneous explosions: one at the meeting and another targeting an additional convoy of IRGC guardsmen on their way to the gathering. RajaNews reported that “an approximately 21 year old male was the suicide bomber and was standing at the entrance to the phys-ed center where the gathering was to be held.” (Apparently, Shushtari held such meetings every few weeks.) It also reported that “the security of the eastern parts of the country has recently been handed completely handed over to IRGC". 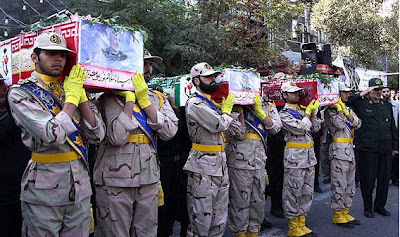 Iran's parliamentary speaker, Ali Larijani, condemned the assassination of the IRGC commanders, saying the bombing was aimed at disrupting security in southeastern Iran. "We express our condolences for their martyrdom. ... The intention of the terrorists was definitely to disrupt security in Sistan-Baluchistan Province," Larijani told an open session of the parliament broadcast live on Iranian state radio. There were no immediate claims of responsibility, but suspicion likely falls on the Sunni militant group Jundallah (جندالل), or Soldiers of God, which has repeatedly carried out terrorist attacks in southeastern Iran against Shia targets. 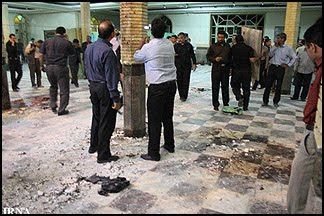 In May 2009, the group took credit for a suicide bombing at a Shia mosque that killed 25 people in Zahedan, capital of Iran's Sistan-Baluchistan province, which has witnessed some of the worst attacks by Jundallah. Thirteen group members were subsequently convicted in the attack and hanged in July. Jundallah, comprising Sunnis from the Baluchi (بلوچ) ethnic minority, have waged a low-level insurgency in recent years, accusing the mostly Shia government of persecution. Iran accuses the United States of providing support for the terrorist group, citing a 2008 article in the New Yorker by investigative reporter Seymour Hersh. 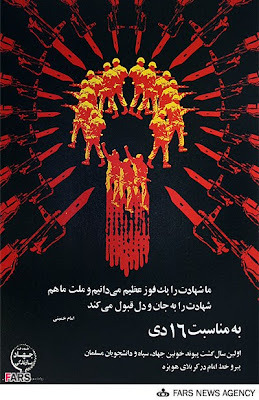 Jundallah has carried out bombings, kidnappings and other attacks against Iranian soldiers and other forces in recent years, including a car bombing in February 2007 that killed 11 IRGC guardsmen near Zahedan, Iran. Jundallah also claimed responsibility for the December 2006 kidnapping of seven Iranian soldiers in the Zahedan area. It threatened to kill them unless members of the group in Iranian prisons were released. The seven were released a month later, apparently after negotiations through tribal mediators. Update: Iranian state media is now saying that Jundallah has claimed responsibility for the attack. The IRGC has also pointed the finger at U.S. involvement. "Surely foreign elements, particularly those linked to the global arrogance, were involved in this attack," an IRGC statement quoted by television said. The term "global arrogance" is Iranian code for the United States. State TV has also singled out Britain. "Some informed sources said the British government was directly involved in the terrorist attack ... by organising, supplying equipment and employing professional terrorists," it said. The attack and the subsequent Iranian charges come right before Iranian officials are due to meet on Monday with their Western counterparts, in a sensitive second round of negotiations in Vienna concerning Iran's nuclear program. (Preceding the first round were stormy public charges by the West over Iran's recent disclosure of a nuclear enrichment facility in Qom.) This new situation threatens to severely complicate the already delicate P5+1 talks with Iran. 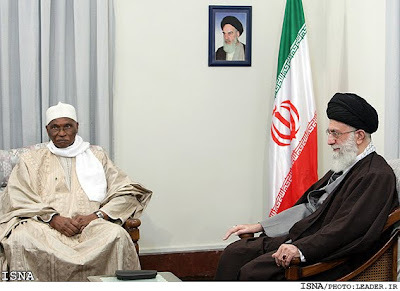 Iran's Supreme Leader Ayatollah Ali Khamenei meeting with the visiting Senegalese President Abdoulaye Wade in Tehran today [ISNA, 17 October]. The meeting was the first public appearance by Khamanie since rumors of his hospitalization and even death were widely circulated last week. International Atomic Energy Agency will host talks between Iran, Russia, France and the US on Monday to work out an agreement allowing Iran to ship most of its stockpile of low-grade enriched uranium produced in Natanz to Russia and France for further enrichment for use at Tehran’s nuclear research reactor. The reactor, which makes isotopes for medical uses such as cancer treatment, runs on uranium enriched to 19.75 percent. Until now, the fuel has come from a batch purchased by Iran from Argentina back in 1993, which is running low. Iran informed the IAEA in June that the current batch would run out by the end of 2010. An interesting documentary detailing the history Iran's relations with Britain. 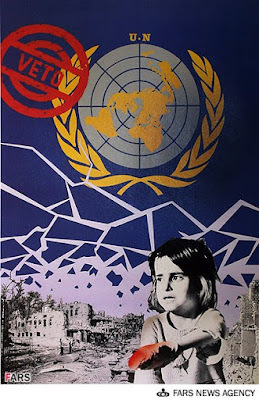 Before continuing on with this post, readers are encouraged to view the latest episode of PBS Frontline, Obama's War. The enemy is an ideology … [and a] policy nurtured in Pakistan for 30 years. And it says Afghanistan must be governed by a backwater, conservative, clerical state obedient, half-obedient or at least loyal to Pakistan. Pakistanis were not able to finance such an adventure, so they started to beg money and resources from Arab countries and from extremist figures in the Arab world. Iran faced the very same foe in the late 1990's. 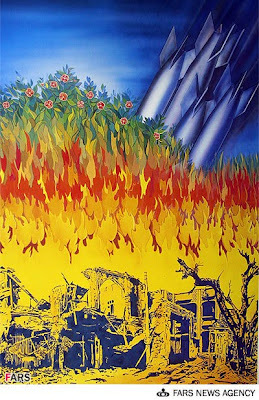 In August of 1998, Iran was seriously provoked when nine of its diplomats were murdered during the Talibani takeover of the northern Afghan city Mazar-i-Sharif. Iran's supreme leader, Ayatollah Khamenei, publicly held Pakistan partly responsible. Iranian Army divisions from nine provinces massed along the Iran-Afghanistan border. War appeared imminent. However, cooler heads in Tehran prevailed, and there was no attempted invasion or military occupation. 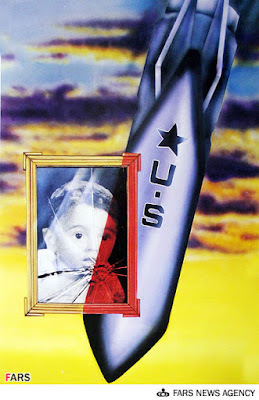 (American and Israeli hawks that subscribe to the notion that Iran's leadership is "irrational" would do well to study the level of restraint exercised during this incident.) 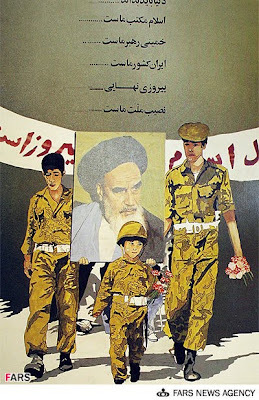 While the Iranians faced the same adversaries currently confronting American forces, that is to say Pakistani-supported Pashtun fighters (Taliban) and Saudi-supported Arab mercenaries (al-Qaida), Iran took a different, some would say smarter approach to their conflict. Instead of directly engaging the enemy with its own military force, Iran aligned itself with local proxy forces against the Talibani-Pakistani-Saudi axis. These forces were comprised of Tajiks (an Iranian people), Hazara (Shia) and Uzbeks (Turko-Persians). The game was the same that's now played by the Americans: bring over as many Pashtuns as they could over to their side. Only today, the American variation involves adversarial elements drawn from its own supposed allies- Pakistan, and to a lesser extent Saudi Arabia- as well as a complicated, full-fledged military occupation by IASF forces. Big difference, with far-reaching consequences. 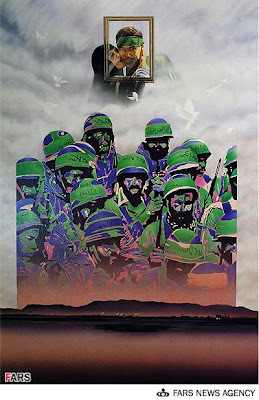 It is a supreme irony that Iran finds two of its enemies (the Taliban and the US) engaged in a seemingly endless war in Afghanistan; another irony being the Baath-US conflict in Iraq. In both cases, the Saudi-supported Arab mercenary group (al-Qaida) is also engaged. All the while, Iran's sideline approach to the conflict mirrors the very one the US once enjoyed during the Iran-Iraq War. It is safe to assume that Iran's leadership is very much pleased with the situation. For if not for an open-ended American military commitment to Afghanistan, Iran might again be forced to deal with this themselves. And for Iran during the late 1990's, that constituted a major distraction, filled with peril and difficulty, to which Americans now understand full well. 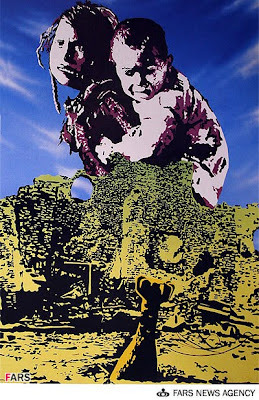 Ever more so, for the US actually has boots on the ground, with more on the way; in its ninth year of war and counting. “Threats of sanctions and threats of pressure in the current situation are, in our opinion, counterproductive," Lavrov said today in Moscow at a joint press conference with Clinton. “We are not at that point (when sanctions are inevitable); it is not the conclusion to which we have already come,” Clinton replied [RIA Novosti, 13 October]. “In principle, Russia is very reserved on sanctions, as they rarely produce results,” Lavrov said. Clinton, who is on a two-day visit to Russia, is scheduled to meet the Russian president later today. 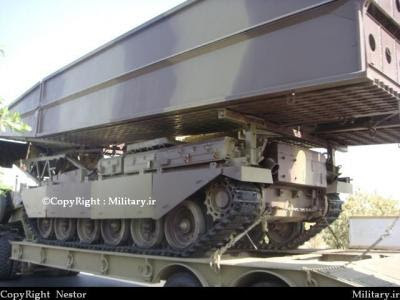 A large consignment of ammunition was reportedly confiscated from a German-owned chartered freighter operated by the Islamic Republic of Iran Shipping Lines (IRISL). The ship, Hansa India, was stopped last Friday by US Navy in the Suez Canal and boarded by naval security personnel. Seven containers loaded with 7.62mm caliber bullet casings, apparently ammunition for Kalashnikov rifles, as well as blanks that could be used for the manufacture of projectiles were found on board. The ship was en route from Iran to Syria. The second round of negotiations between the major powers (P5+1) and Iran are due on 19 October in Vienna. On the agenda is a proposal to send 80% of Iran’s stockpile of low-enriched uranium, processed in Natanz, to Russia and France for further enrichment for use in a research nuclear reactor in Tehran. The higher-grade enriched uranium will be used to replenish dwindling fuel stocks the Tehran reactor that produces isotopes for cancer care. “There are 150 hospitals dependent on this reactor. We want to receive this fuel from outside. That's why we are going to have the meeting and we hope that we'll reach an agreement,” Iranian Foreign Ministry Spokesman Hassan Qashqavi said [Fars News Agency, 12 October]. Iran has suggested that it may embark on further enrichment by itself if it could not come to an early agreement with the major powers. Iran needs uranium refined to a purity of 20 percent for the Tehran reactor, from the 3.5 percent power-plant grade uranium it now produces in Natanz. A purity of 90 percent and higher is needed to provide material for nuclear bombs. Qashqavi today also dismissed US Secretary of State Hillary Clinton’s recent statement that the major powers would not wait forever for Tehran to come up with a new agreement with the West on its nuclear program. Any threats deadline, said Qashqavi, would not have any impact on the Islamic Republic. The threats and counter-threats are seen as pre-negotiation positioning by the countries involved in the upcoming Vienna talks. British Foreign Secretary David Miliband said in London that Iran would never have a better opportunity to establish normal ties with the West. Progress in negotiations that started in Geneva at the beginning of this month is seen as heading off calls by US and the West to impose tougher sanctions on Iran for its continued uranium enrichment activities. The Iranian government has also emphasized the critical importance of the 19 October talks in Vienna. President Mahmoud Ahmadinejad yesterday called the upcoming talks a “test” for future cooperation with the West. “The Oct. 19 meeting is a test for fruitful cooperation in the future," Ahmadinejad said. "Failure of the meeting and imposing sanctions on Iran would hurt the West more than Iran.” [Fars News Agency, 11 October]. On a related development, a joint US-Israeli military exercise scheduled for 12-16 October was postponed to 20 October, the day after the Vienna talks with Iran. The move would avoid creating tensions with Iran on the eve of the important nuclear talks. The biggest yet of the annual Juniper Cobra exercise was to include 17 naval ships and ground personnel operating the Aegis, THAAD and Patriot missile shields meshed with Israel's Arrow II interceptor. Admiral Mark Fitzgerald, commander of the US Sixth Fleet, would oversee the drill. Iranian state media is now reporting that the Kurdish militant group PJAK is being "directly supported" by Al Qaida, in PJAK's war against Iran (see Iran Links Kurdish Militants to Al Qaida). In this instance, Iran's use of the term "Al Qaida" can actually be interpreted as code for "Saudi Arabia", for it is understood that the majority of funding for Al Qaida comes from Saudi sources. The Saudis have responded by means of public posturing. For example, press reports have recently surfaced of Saudi Arabia giving the go ahead for the Israeli Air Force to use its airspace to strike at Iran's nuclear infrastructure. Then came the report that the Saudis requested purchase of the S-300 SAM system from Russia, based upon the condition it not be sold to Iran (see Saudis to get Russian missiles instead of Iran?). In none of these instances did Saudi Arabia go out of its way to dispute the reports. While Iran has shrugged off these "Saudi antics", it nevertheless remains quite sensitive to its own border fight with the Kurdish PJAK rebel group (which operates in the same general area where three American journalists were recently arrested for illegally trespassing). It is indeed possible that Iranian intelligence has acquired knowledge of Saudi support for PJAK, hence the reference to "Al Qaida" in its recent state media report. This could potentially have repercussions for the PJAK battlefield in northwestern Iran, as well the Houthi battlefield near the southern border of Saudi Arabia. A video provided by the Houthi rebels, showing plenty of wrecked Yemen Army vehicles. YouTube video of a Yemen Air Force MiG-21 brought down by Houthi anti-aircraft fire. Questions have arisen over whether Houthi rebels have been provided with MANPADS. 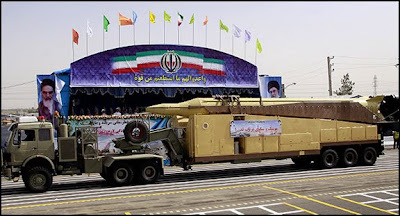 An unverified US source reports theses weapons are being furnished by Iran, however no physical proof has been provided to back up such claims. Iran’s former president Mohammad Khatami has said the protests which followed Iran's disputed presidential election will carry on. “If we [as a nation] go along with people's demand, we will reach our goals quicker and in a less costly manner,” Khatami said on Sunday. 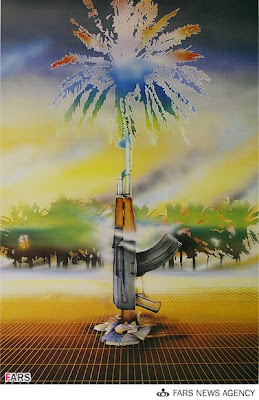 “If not, this movement will still continue but at a higher cost. 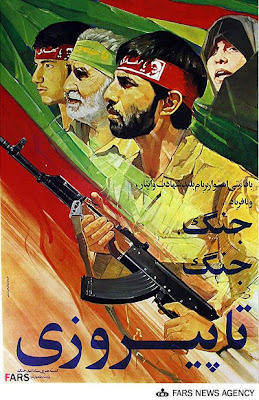 In any case, this movement will not die.” [Baran Website, 11 October]. “This current must know that it can't forcibly rule people with military and police methods,” Khatami said. The “current” is believed to be a thinly veiled reference to the alliance between the Ahmadinejad’s government and the senior leadership of the IRGC. Iran's President Mahmoud Ahmadinejad will visit Brazil in late November, Fars News Agency reported today. Ahmadinejad's first visit to Brazil had been scheduled for last summer but was postponed after the June presidential elections in Iran. Since 2005, under Ahmadinejad’s presidency, Iran has made a considerable effort to establish a strong presence in Latin America. Kurdistan’s Judiciary Chief Ali Akbar Qarousi said today the recent terrorist attacks in Iran’s Kurdish region were linked to Al Qaida. 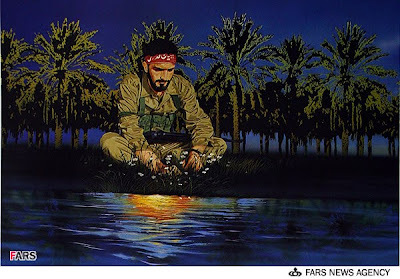 Fars New Agency quoted Qarousi as saying that PJAK, the militant Kurdish group operating in northwestern Iran, was “directly supported” by a Al Qaida network in northern Iraq [Fars New Agency, 11 October]. Iran's new intelligence minister, Heidar Moslehi, said Wednesday the IRGC and security forces have killed four terrorists and arrested 14 others during recent attacks against top pro-government officials in [Iranian] Kurdistan. “During the clashes, one of the Iranian intelligence forces and a member of the Islamic Revolution Guard Corps (IRGC) were also killed,” Heidar Moslehi said [Fars News Agency, 11 October]. Linking PJAK to Al Qaida by a high-ranking judiciary official in Kurdistan surprised Iran analysts. The Iranian government had in the past claimed the group had close ties to US intelligence agencies. 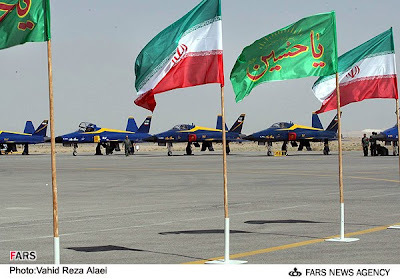 According to Iranian state media, the Islamic Republic of Iran Air Force (IRIAF) has taken delivery of two new domestically built Saegeh (Thunderbolt) aircraft. 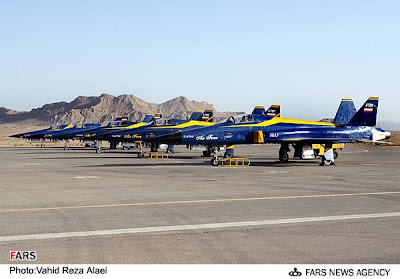 The delivery ceremony was held today at the HESA Company airport in Shahinshahr, Isfahan. 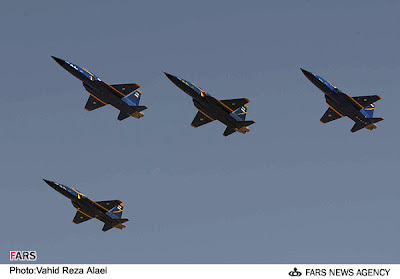 A total of five Saegheh aircraft participated in a ceremonial flyby. 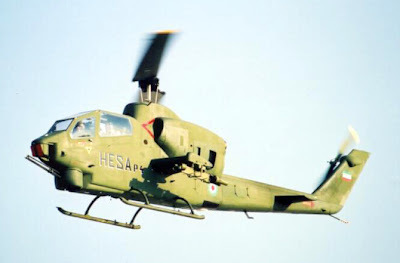 Two additional HESA Tiztak (Bell AH-1J) helicopters were also reported to have been delivered to Islamic Republic of Iran Army Aviation (IRIAA). 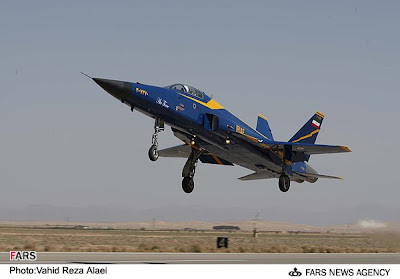 Note: It makes for a bold statement for Iran to continue to paint its new Saegeh warplanes in glossy blue and yellow color schemes. Perhaps it was planned for these additions to participate in last month's Sacred Defense air show, but were not completed in time. An unverified report at ACIG states that only Saegeh serial 3-7370 made its maiden voyage for the IRIAF today in Isfahan. The other four aircraft participating in today's festivities were Saegeh serials 3-7366, 67, 68 & 69; all flying in from Mehrabad. 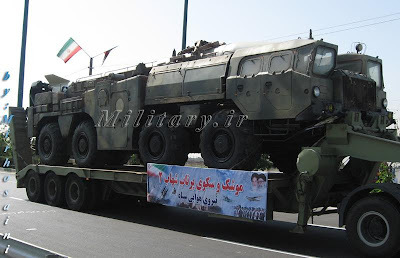 On display at the 2009 Sacred Defense parade in Tehran. 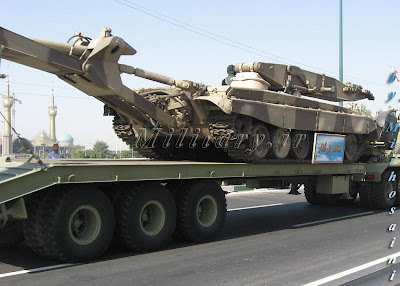 TEL for Shahab-3 "Shooting Star" (شهاب-۳) MRBM, using specifically adapted tractor/semi-trailer units. TEL for Sejil-2 "Baked Clay" (۲-سجیل) MRBM, using further enhanced Shahab-3 type TEL arrangements. 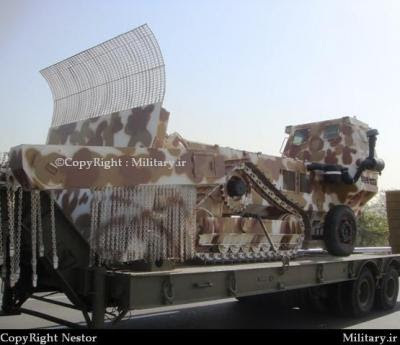 Front and rear details of the Shahab-3 TEL. Shahab-2 "Shooting Star" (شهاب-۲) SRBM using MAZ-543 TEL. Shahab-1 "Shooting Star" (شهاب-۱) SRBM using MAZ-543 TEL. 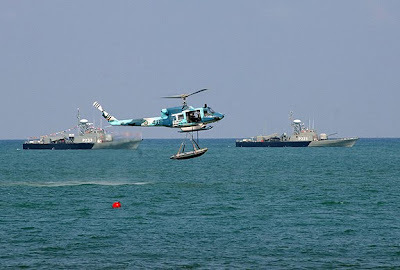 Iranian Navy and Marine Exercises at Nowshahr, October 6, 2009. P225 Joshan Kaman (Sina) class fast attack/patrol missile boat. P223 Khadang Kaman class fast attack/patrol missile boat. 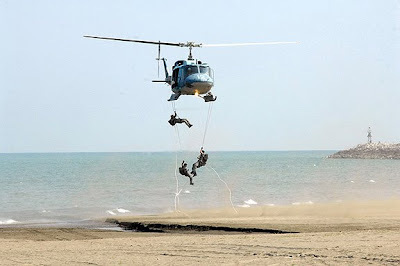 IRIN Agusta-Bell AB 212 deploying Naval Special Warfare team. 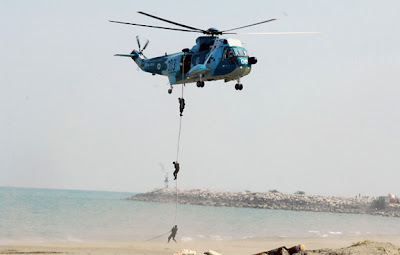 IRIN Sikorsky SH-3D Sea King deploying Iranian Marines. 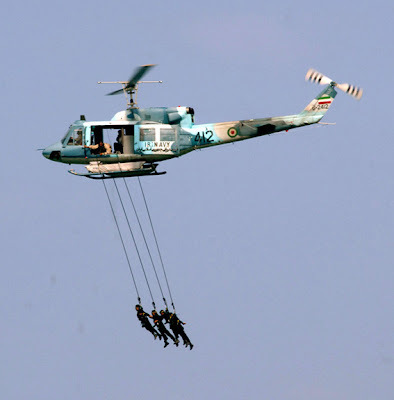 IRIN Agusta-Bell AB 212 deploying Iranian Marines. 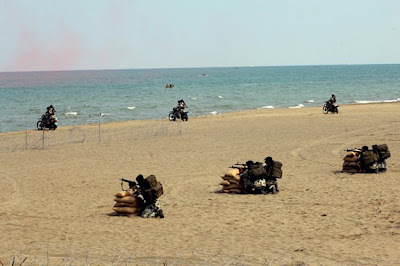 Iranian Marine rifle and motorized RPG teams take up defensive beachfront positions. Inspection of the officer cadet graduating class of 2009, at the Imam Khomeini Naval Sciences University in Nowshahr. Note the phalanx of burly-sized, armed security guards protecting supreme leader Ayatollah Khamenei at all times during the ceremony. This may very well be a protective measure now in place since the post-election political dispute. The sidearms carried by the security guards appear to be large calibre service revolvers. Above photo depicts an escorting security detachment of four guards, while the photo below shows a total of six guards, including a plain-clothes team leader. At least seven different guards can be identified between the two photos. It's interesting to see Iran's top ranking military officials so frequently assemble itself in one public place. The Commander-in-Chief is present, together with all the heads of the respective military branches, including the Defense Minister. They did this in September and now again in October. During times of heightened regional tension, and with it the threat posed by long-range drone attack aircraft, one really must wonder if this is such a wise idea. Perhaps a constant political need for public displays of military solidarity simply outweighs the potential risk. Saudis to get Russian missiles instead of Iran?